These will retire permanently once Kasaria opens, so stock up now while you can! The other sets are now available for purchase after you register for the game! NOTICE: From 4/23 and on, Booster Packs will only award Beta access. The "3 Days Before" is a perk for Pre-Beta funders, which they can use right before Grand Opening when the site closes for about a week for last minute touches after Beta. Beta is currently awarded manually, so please allow for some time to have your code given to you. 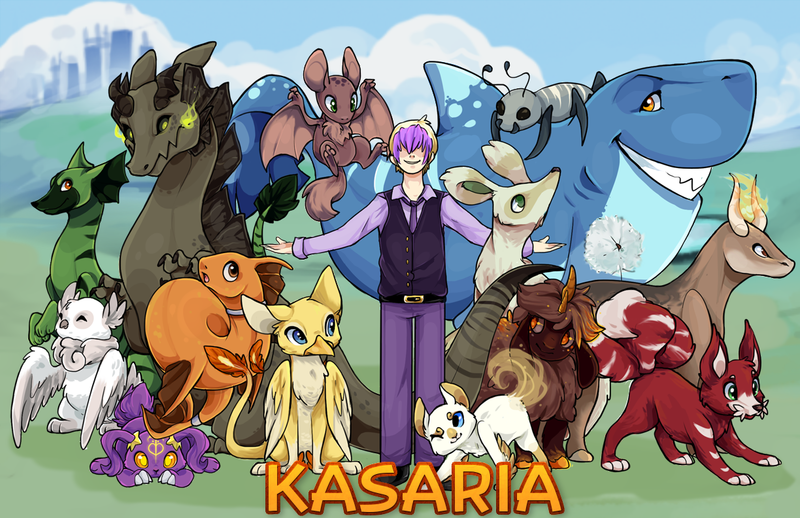 Want to learn more about Kasaria before you back us? Check out our About page! Top secret photos from Gaea Corp are leaked! View them here! Two new companion types, Albino and Melanistic, will be available upon release. All donors of $5 or more (including Indiegogo backers) will receive one of these type changers at random. Over a hundred of Gaea Corp's files of information of Kasaria's flora, fauna, and more will be leaked! They will be accessible by everyone. What secrets await?